Toucan is a small utility allowing you to synchronise, backup and secure your data with more options than the built in suite utilities. It is split up into 7 tabs, allowing you to easily find the function that you want. Four synchronisation modes, copy, update, mirror and equalise. 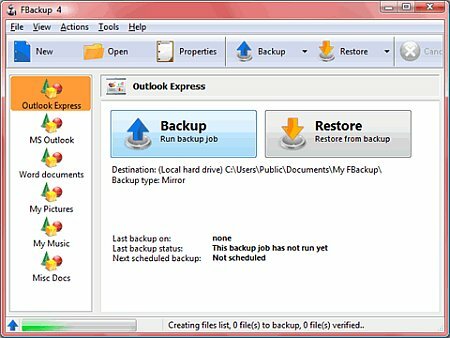 Backup and restore in industry standard zip and 7-zip files, with support for complete backups, updating existing backups and incremental backups, as well as restoring files from an archive. AES-256 encryption using ccrypt. Command line support, allows you to create a batch file for repeated jobs. Portable variables, point to places on you USB drive no matter what its drive letter is. DriveImage XML is an easy to use and reliable program for imaging and backing up partitions and logical drives. Image creation uses Microsoft's Volume Shadow Services (VSS), allowing you to create safe "hot images" even from drives currently in use. Images are stored in XML files, allowing you to process them with 3rd party tools. Never again be stuck with a useless backup! Restore images to drives without having to reboot. DriveImage XML is now faster than ever, offering two different compression levels. DriveImage XML runs under Windows XP, Windows Server 2003, Vista and Windows 7 only. The program will backup, image and restore drives formatted with FAT 12, 16, 32 and NTFS. It protects your important data by backing it up automatically to any USB/Firewire device, local or network location. The backed up data can be either compressed (using standard zip compression) or an exact copy of the original files. Once a backup job is defined, you can run it manually by pressing the Backup button (or F6), or if you add a scheduler it will run automatically. 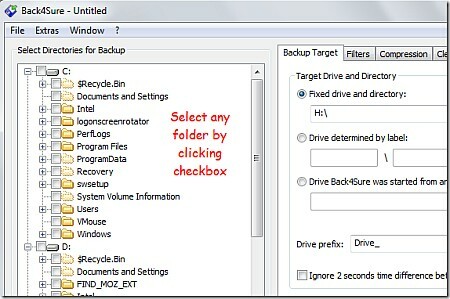 FBackup can easily back up sources from local drives (including USB connected drives) to destinations such as USB/Firewire connected devices or mapped network locations. It creates either standard zip files (when using "full backup"), or exact copies of the original sources without any compression (using "mirror backup"). 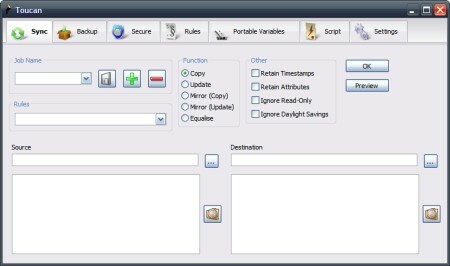 ICE ECC is a file verification and repair tool. ICE ECC allows you to protect your important files and sensitive data against digital corruption using Reed-Solomon codes. The program is not intended as a main backup solution, but rather as a backup for your backup - it can be included on CDs or DVDs before you store your data, allowing you to recover data that has become corrupt due to age of the media or scratches. 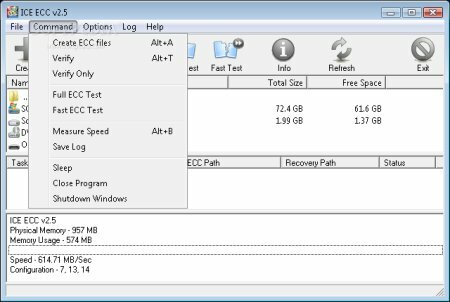 ICE ECC is an utility that helps you to verify file and repair. You can protect selected files or entire folders by simply selecting them and having the program generate an ECC file.